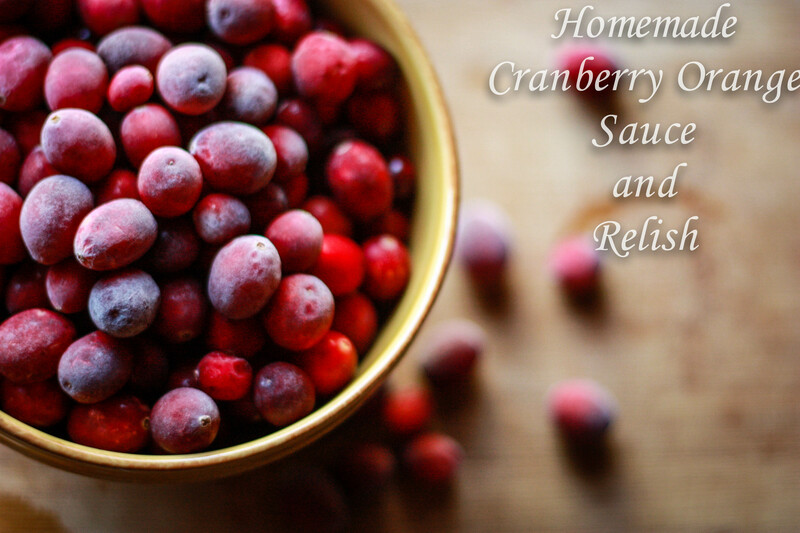 Forget store-bought or canned, homemade natural cranberry sauce is essential for Thanksgiving. 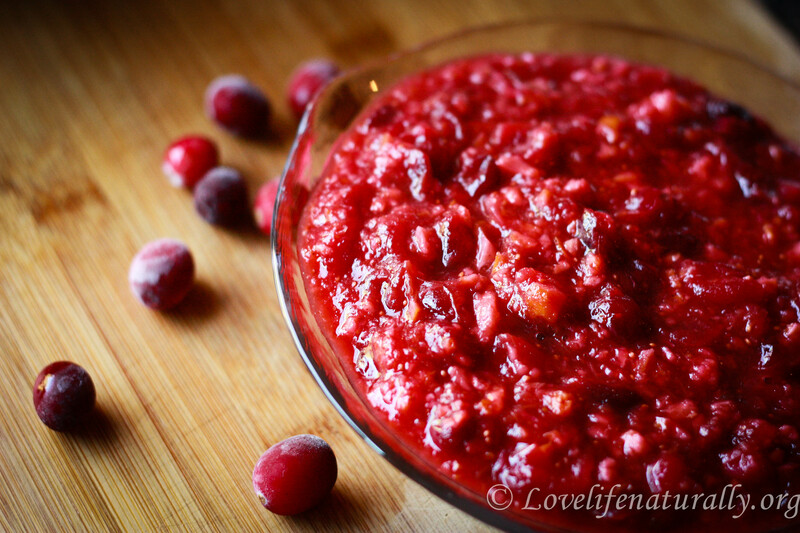 It may seem like just one more thing to make for the big day, but with a little planning and making ahead of time, homemade and natural cranberry sauce and/or relish make the perfect addition. 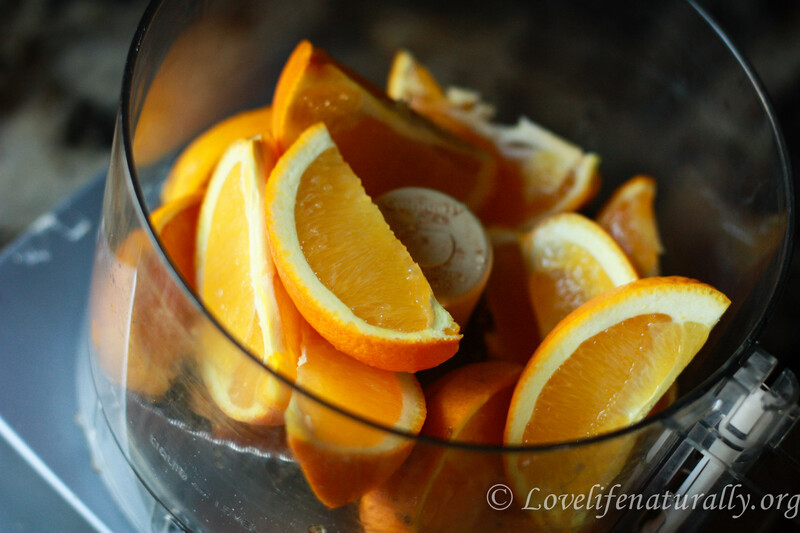 Begin by chopping two whole oranges in either the food processor or blender. 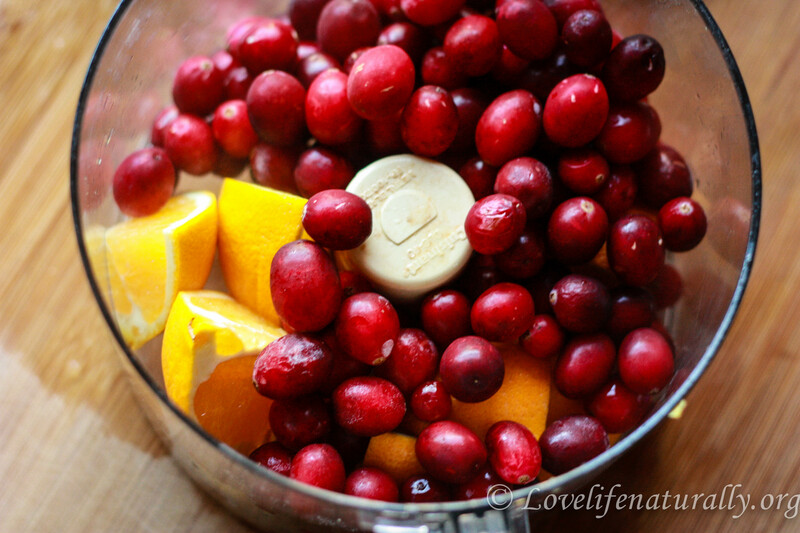 Add one cup of water, chopped oranges and cranberries to a sauce pan. Over medium heat bring to a simmer. 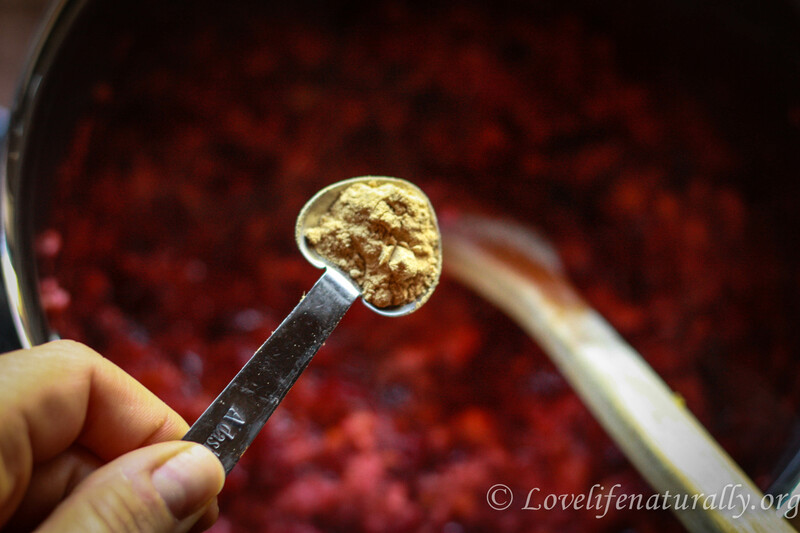 Cranberries will begin to pop. Simmer for about 20 min. Add spices. 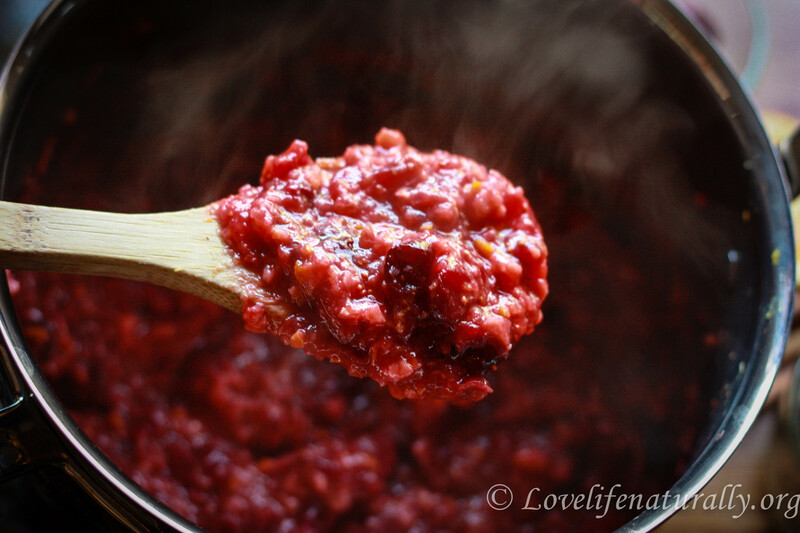 Sauce will thicken when done. 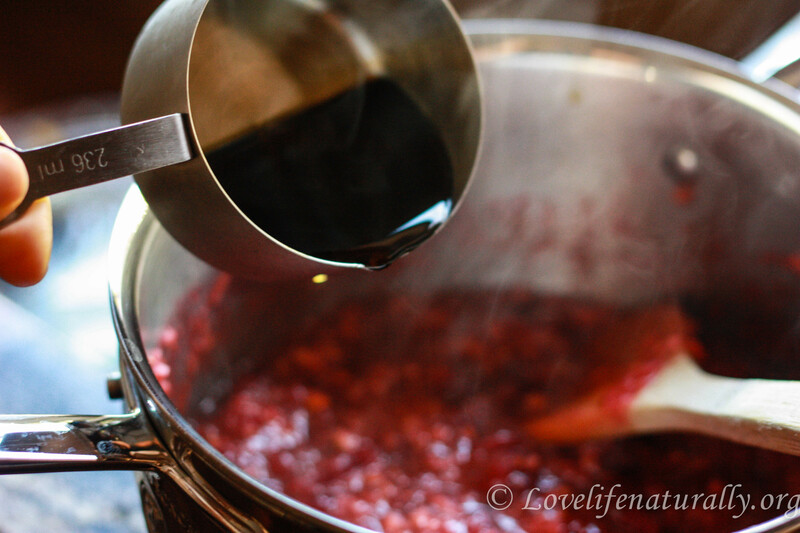 Remove from heat and add Maple syrup. It makes a beautiful presentation that everyone will enjoy! 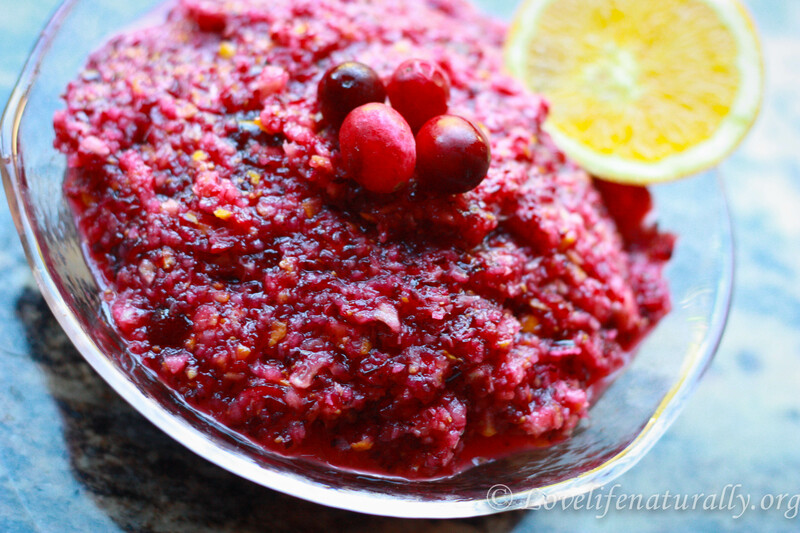 I have been making this natural cranberry relish for years now and my family looks forward to it every year. This year, we are hosting Thanksgiving and plan to have close to 30 people… which is why I made a double batch and I’m starting my cooking a little early. 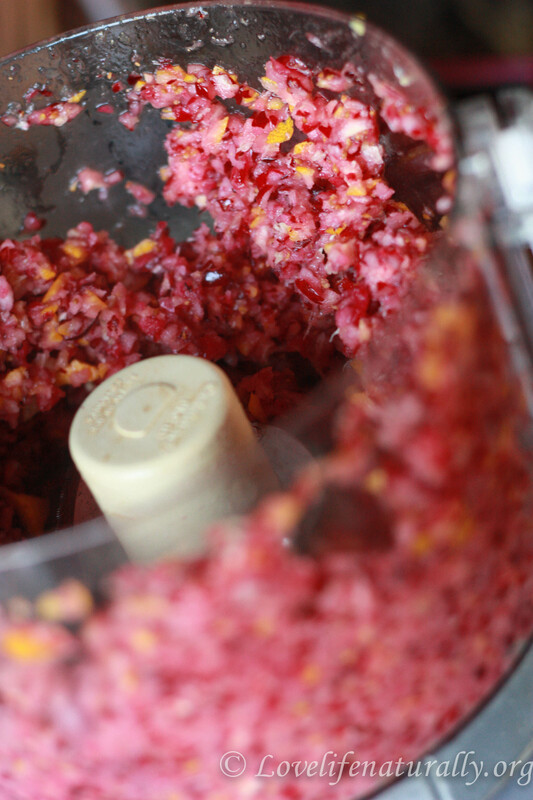 Relish is great to make a little early, the flavors will blend and the cane juice will help bring the juices out of the cranberries and oranges. This recipe is so simple and takes only minutes to make. I hope you love it as much as my family does. 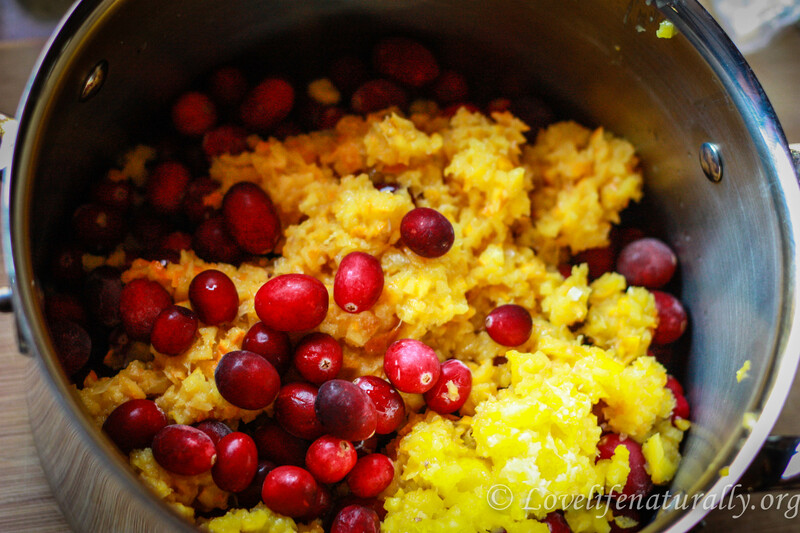 Place 1 whole chopped orange and 8 oz of the cranberries into the food processor. Chop until very fine, but not mushy. Never ever ever use processed sugar! Choose evaporated cane juice, which is the natural form of the white poison. 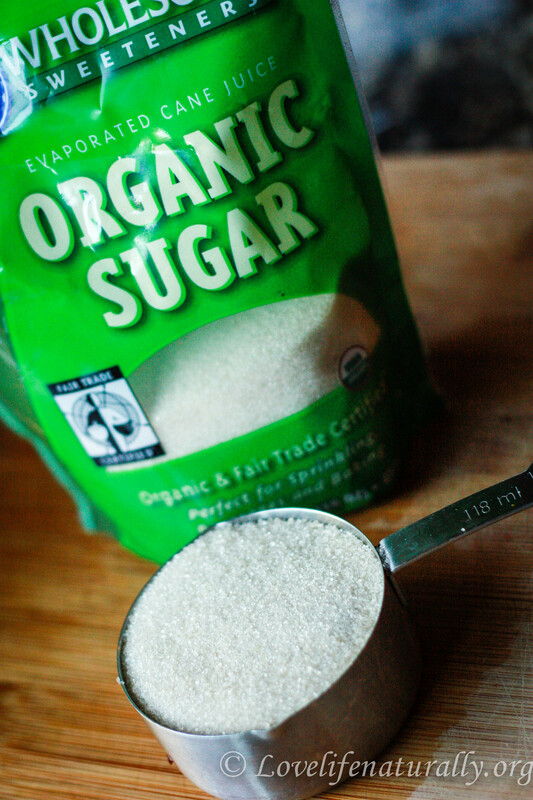 Learn more about the dangers of processed sugar…. HERE! 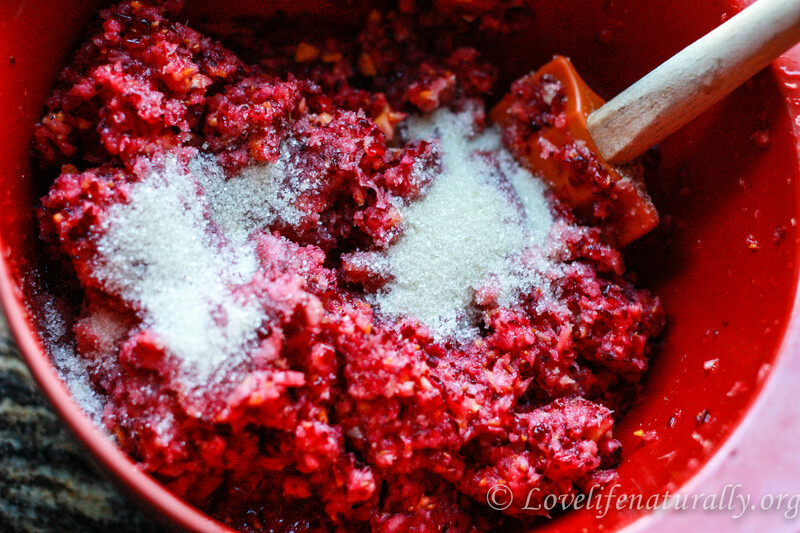 Add Cranberry mixture and sugar to a large mixing bowl, stir to combine. Serve after chilling four or more hours in the refrigerator. 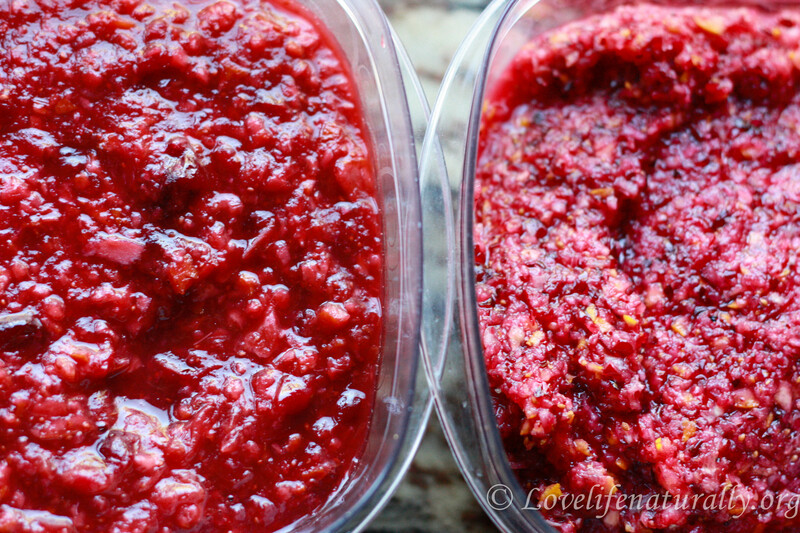 Two delicious sauces, Great to make ahead! Enjoy and Happy Thanksgiving! 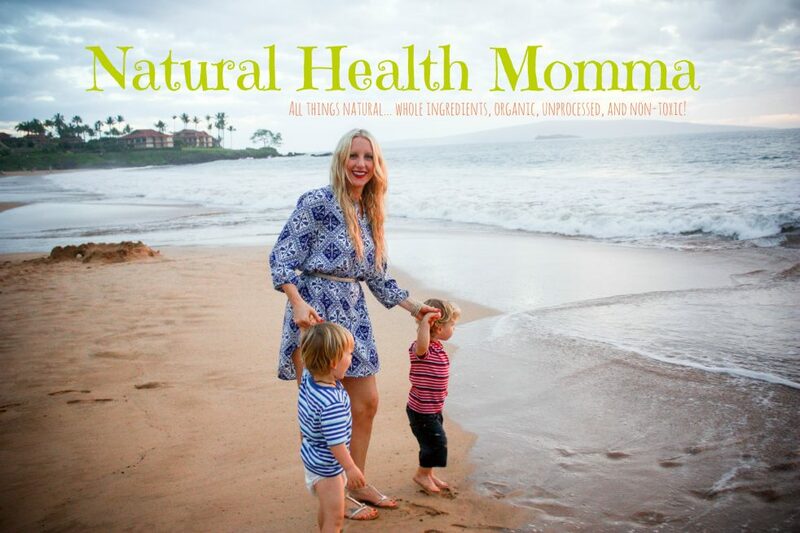 Let me know what you think… I love feedback! Previous Post What God Says About Health and Healthy Eating? I assume you’re wanting the chore charts with the beads? I’d be happy to do that for you! If you want to request a custom order off of this listing (https://www.etsy.com/listing/159588458/20-chore-charts-and-labels-instant?ref=shop_home_active&ga_search_query=chore%2Bchart) I’ll work with you from there. Thanks again and great blog! Jessica, thank you SO much for your reply and complement! Sorry its taken me so long to reply, its been so crazy over here with the Holiday festivities 🙂 I was at my wits end a few days ago, before you replied and I purchased a sticker star reward system which I am trying. So far so good, but I will definitely be following your blog, as I LOVE all your adorable and creative ideas!